''Fresh and Fabulous with Flair' is our slogan. 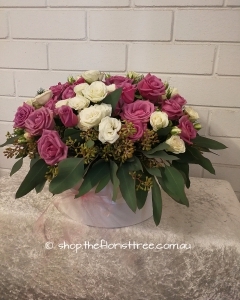 We are a real florist with a warehouse studio in Bayswater Western Australia with a mission to spread worldwide joy, one bouquet or flower arrangement at a time. Versatility is our game, creating bespoke designs in either traditional or contemporary style, delivering within 8km of Bayswater. Please check delivery areas before placing an order. 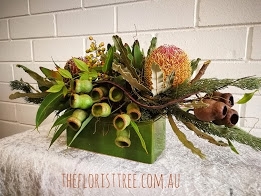 I am a qualified Florist, graduating in 2000 from Flowers Design School in Perth Western Australia. 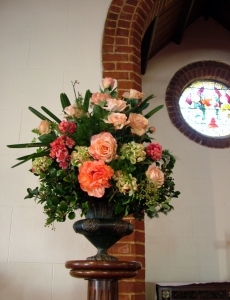 I have trained overseas in France and Belgium and was a Workplace Trainer and Assessor at Flowers Design School from 2010-2014 and was the Principal in 2013 and 2014.. I have had shops in New Norfolk, Tasmania, Inglewood and West Perth in Western Australia and now work from a warehouse studio in Bayswater.. I especially enjoy funeral , corporate and event work, some being the SAS 50th Anniversary celebrations, Lifeline events and the Duke of Edinburgh Awards. 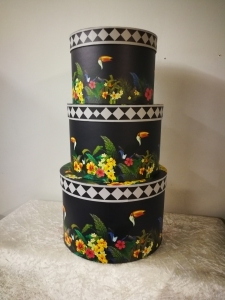 We do all types of shop work and especially enjoy creating bespoke designs. We have a unique range of bridal bags, designed in house and manufactured overseas. 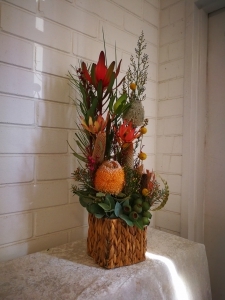 More recently we have introduced a range of concrete pots, manufactured and hand painted or tinted in house and planted with succulents or cacti..
We deliver to all suburbs within an 8km radius.and the $12 delivery charge is included in the price displayed. Please check Google maps when placing an order. If you require delivery further afield, you will need to contact us +61 449762888 for additional courier charges if we can arrange delivery. Our orders are either delivered personally or by the services of a reliable and respected courier company. 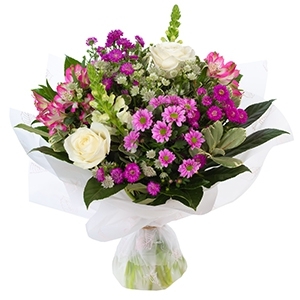 We can arrange delivery of flowers world wide. Brilliant service kept up to date all the way through. 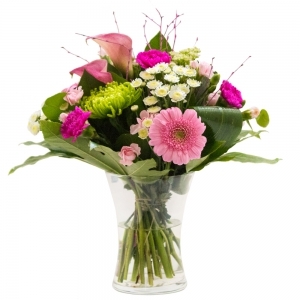 Lovely fresh flowers delivered on time and the email with a photo of them is a great idea. Thanks very much I will definitely use again. 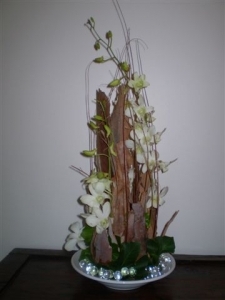 I have used The Florist Tree on several occasions and they have always delivered beautiful arrangements as per request. I am very happy with their service and would definitely recommend them. Very happy with service. Flowers delivered were beautiful and exactly what we wanted. So glad I chose this place. Thankyou for a great experience. Thanks delivery as promised my friend was really pleased. The delivery person called to make sure she had the correct address and to verify we were home to accept delivery. Very grateful for the beautiful flowers and service. Thank you from both parties. 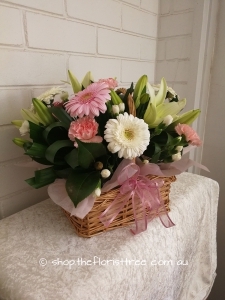 I sent flowers from the UK to my niece in Perth. They were absolutely beautiful and the communication throughout was excellent. 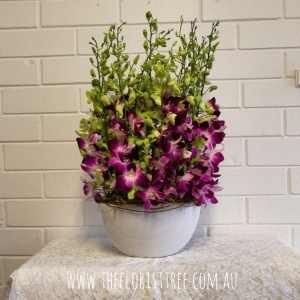 I will definitely be using direct 2 florist.com and the florist tree again. Great service and the addition of a butterfly was a lovely touch for thank-you flowers. Excellent service. Would certainly recommend. This has proved to be an excellent service. 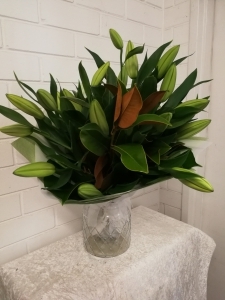 I ordered flowers for my daughter in Australia from UK. 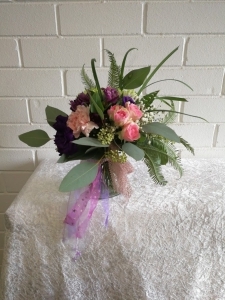 Flowers were delivered on the day requested looking fresh and exactly as above - my daughter sent an identical photo in appreciation. Well done Flirist Tree. 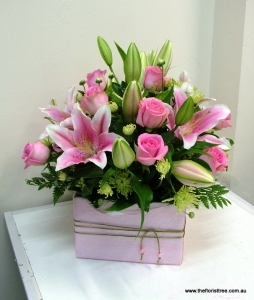 Flowers as ordered were delivered on time. Good service. The flower arrangement was way above our expectations. Thanks to all of you for providing such a good international service. The flowers were absolutely perfect for the occasion. Kept up to date throughout process. 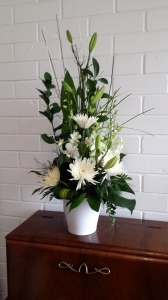 Loved the picture being sent by florist to confirm delivery. Would definitely recommend. 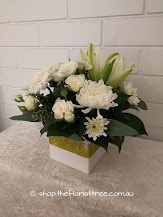 The flowers look gorgeous and the arrangement is beautiful, The recipient was also happy, Thank you very much for the nice service. 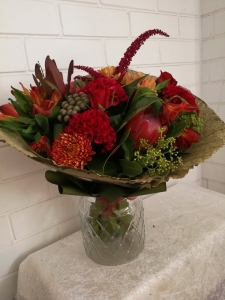 flowers were amazing my daughter was thrilled with them sent me a photo they looked amazing thank you. My friend who recently had surgery is delighted with her flowers. The lady who delivered them even asked my friend how she was! The florist sent me a photo of the flowers so I could see for myself. They are lovely. I'm very happy. 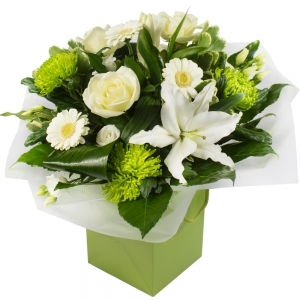 I've not seen the flowers but have been told all that were sent were very nice, so I am presuming that includes ours! Thank you....our friends said they were beautiful flowers. 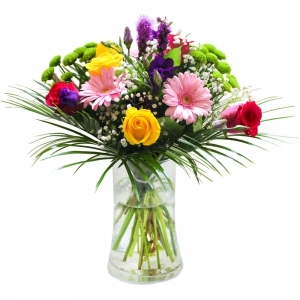 &ldquo;Absolutely beautiful flowers&rdquo; - the opinion of the others recipient!! Fantastic experience. 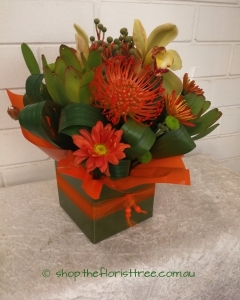 By far the easiest site to order flowers from Scotland to Australia. Delivered exactly when and how I asked. Picture sent to me by recipient was beautiful. Flowers beautiful & Cheryl even delivered my moms flowers on my preferred day even though I was late and I?? ?d missed it on the website! Amazing service and flowers beautiful, super happy. My mom was really happy and the images sent by the florist were exactly like the photos my mother sent. Would highly recommend this florist and service! Excellent service! When my friend was in a ward that didn?? 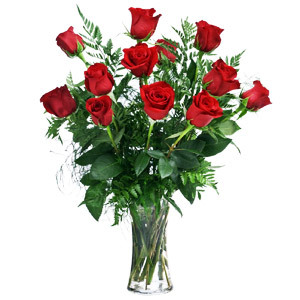 ?t allow flowers the florist held my order until they could be delivered. My girlfriend loved the flowers and they looked terrific! 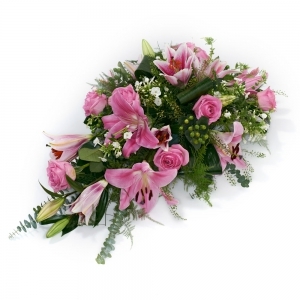 Excellent service used on three occasions and delighted each time . 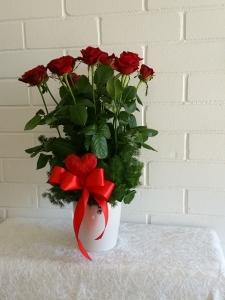 I ordered flowers from the UK approx 2.30pm on 23rd December for delivery in Australia. I was hoping for delivery within 24 hours but as it was so close to Christmas I thought I was pushing my luck. In fact when I placed my order i was informed that Christmas deliveries could not be guaranteed and would probably be delivered 27th December. I was so please when my cousin received them on Christmas Eve in the evening. 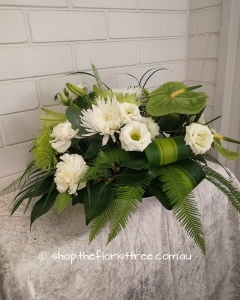 Very impressed with direct2florist, I will definitely use them again. 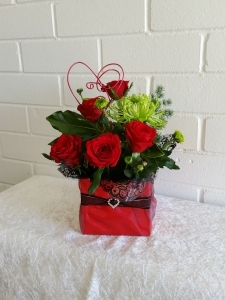 On time and loved by the recipient! 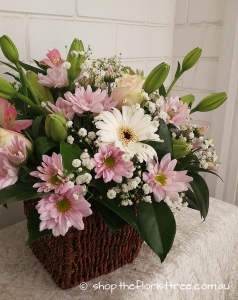 Flowers were sent to our Aunt to mark a big birthday by family members who live around the world now. 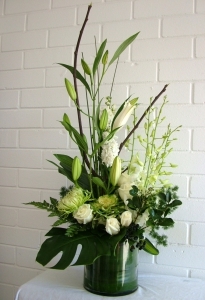 The florist was efficient in letting us know whether they could accommodate the delivery request - they could. The flowers were lovely!! And really loved by our Aunt. Receiving an email showing us what we had sent was really appreciated. Faultless service and flowers. Thank you. 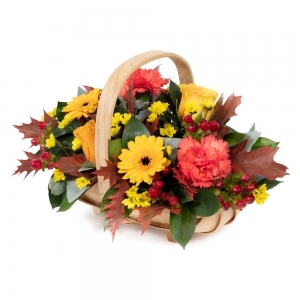 The direct2florist website was also excellent in communicating and very clear about everything. Really pleased that we chose this method. Awesum service, easy and hassel free. Same day delivery. The flowers delivered were stunning, similar as can be to the picture I viewed!! 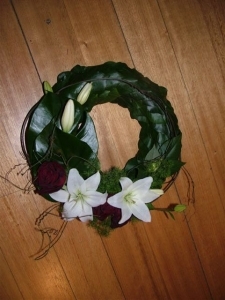 Will deffinately use this florist again via ordering from NZ. A+++ service!!???? On time and looked great. Will do business again, thanks. 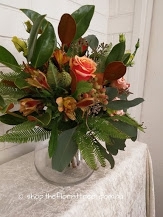 I would have giving a low rating because there was an error with regards to a special request but the florist acknowledged there was an error and made it right without me asking her to do so.... I would highly recommend this florist. They are honest . I would order again from this florist 100%. ...5 stars! Natives can be a bit hit and miss...these however, were fantastic. My Mum, and 81 yr old Grandmother, just loved them. And their **long life** in the display will mean she gets to have the house beautified for,longer. The delivery and purchase was a seamless process from my pov. Thank you so very much. You helped shorten the distance. 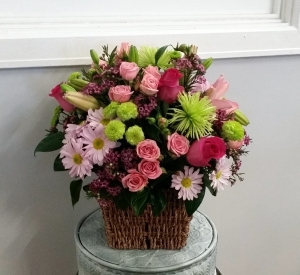 Great service, ordered Sunday night and delivered Monday.Flowers are beautiful. 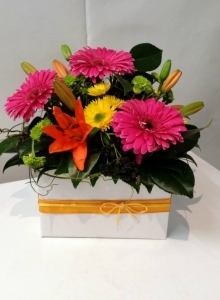 Excellent service, delivered on time, the flowers were spectacular. One happy lady business partner. Many thanks. Excellent. My friend loved them. 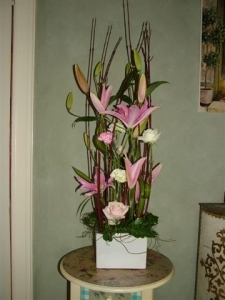 Also I receive floral arrangements often from this florist that my brother sends to me. So I only have positive things to say. Very impressed with range, price and efficiency. 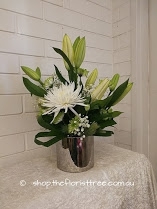 Especially liked that I had an email with photos letting me know the flowers were delivered and exactly what the arrangement looked like. 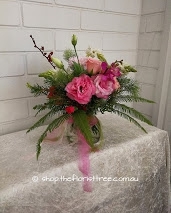 The Florist Tree supply beautiful arrangements of Australian Natives that have delighted my sister. Lovely flowers and well presented. 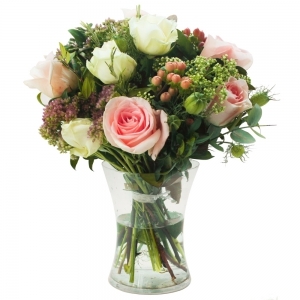 So impressed with service from this florist who phoned me in the uk when she had problems delivering my flowers. Swiftly sorted. This incidentally was within 12 hours of my order being placed. Definitely 5 star service. Excellent. 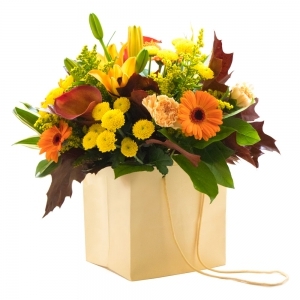 After disappointing online 3rd party floral deliveries in the past I tried direct2florist. Best decision ever. The flowers were absolutely perfect. 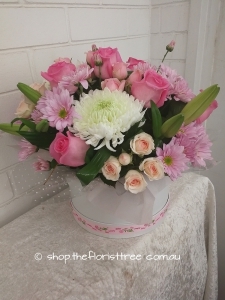 Mum was thrilled- they made her day and looked as gorgeous as they were shown to be on the website. Thank you so much for the AM delivery as requested. 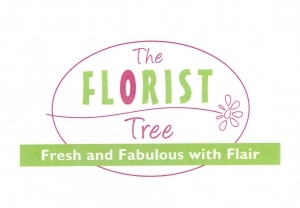 I will always use The Florist Tree from now on!! 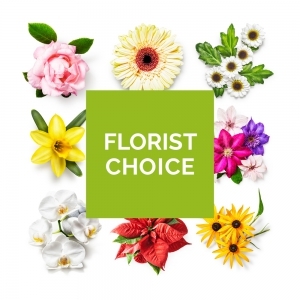 The Florist Tree were extremely sensitive, respectful and professional during my dealings with them, their communication was second to none. 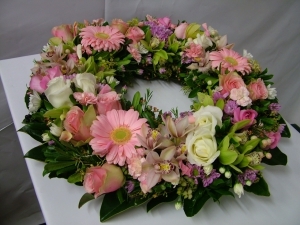 The flowers that were delivered to farewell a loved one were received well by the family, who commented on how gorgeous they were. Thankyou to The Florist Tree! Beautiful native flowers. I was very happy. 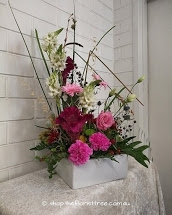 I did not see the flowers, but my friend was delighted with them. 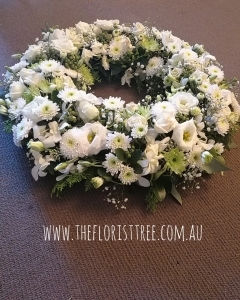 This Florist had fantastic communication and called to see if I was happy if these flowers were sent earlier before the funeral day which I was only happy to oblige. 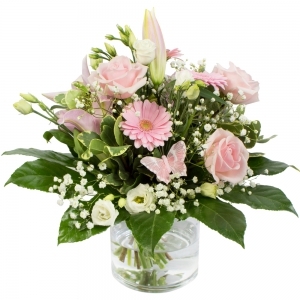 Florist also sent pictures of the flowers which was delivered which gives that extra efficiency and peace of mind of exactly what you had ordered. 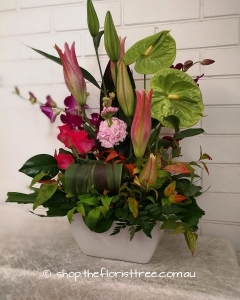 Would not hesitate to use this Florist again! 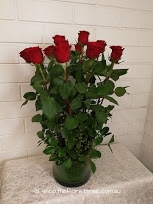 Beautiful flowers delivered promptly.thank you for the photo you sent to my email account showing me the flowers you delivered. Excellent service. I can't leave a rating as the page does not show what ratings there are available? 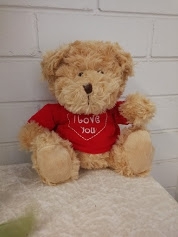 Nevertheless my sister was more than pleased with the gift and it was delivered as promised so I would use this company again for sure. Thank you. I wanted to send flowers to my best friend that were fresh and local and this is what she received. Would definitely use again. 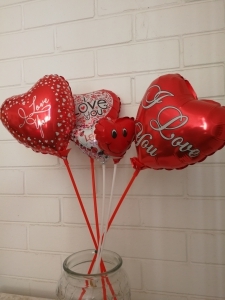 My daughter lives in Australia & these were to say Happy Birthday, she said they were beautiful, thank you. 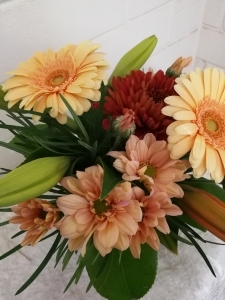 my daughter was thrilled with the flowers, sent me a photo when they arrived and they looked exactly like the photo on the internet. Very pleased and will use again. 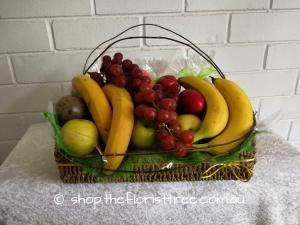 Excellent service, Ordered from Glasgow Scotland delivered to Maryland's Perth Australia when requested. Flowers were amazing. Also received an email informing me they had been delivered. 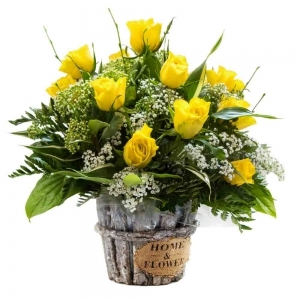 Nice selection of arrangements on website but would have liked more in containers or option to add a vase given my order was sympathy flowers and I didn't want my relative to have to worry about providing something. 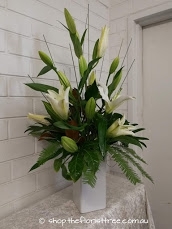 Photo provided with delivery confirmation was helpful, although the arrangement didn't look quite as nice as the website photo, but may have been the angle of the shot since my relative did say they were lovely. Would recommend. Excellent service. 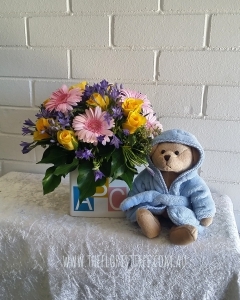 I was delighted and surprised to receive an email first thing in the morning with a photograph of my mother in Australia on her 90th birthday together with the flowers we sent; a very nice touch. Really pleased with the service and delivery time. My mother-in-law absolutely loved her flowers! <br/> <br/>Thank you! 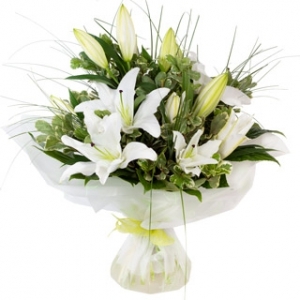 The flowers were delivered on the day I requested and the recipient was delighted with them. He sent me a picture and they were beautiful. Thank you for such a good service. 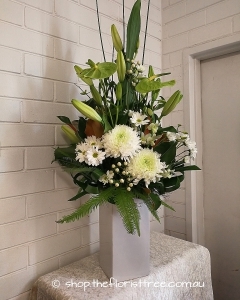 A photo of the flowers was sent, confirming delivery. They looked beautiful and our friends loved them too. Many thanks. Delivered flowers nice and early on the day. Beautiful flowers great service. Will definitely use again! Easy to order, excellent service. My sister loved the plant and hand made pot. It made her day, thank you . My Aunt was extremely happy with her flowers, which makes me very happy too. Thank you! Ordered from Scotland, for my Daughters birthday. 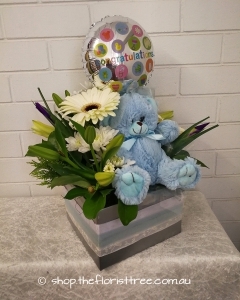 My Daughter was really pleased with the flowers and they were delivered on the day stated. So overall very pleased with the product and service. Would order from this site again. 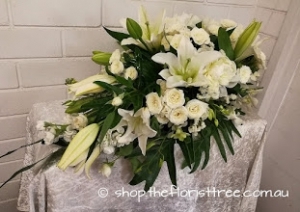 The Florist Tree had difficulty delivering, through no fault of their own, they kept us well-informed via email and I feel went the extra mile to ensure the flowers arrived safely and on time. 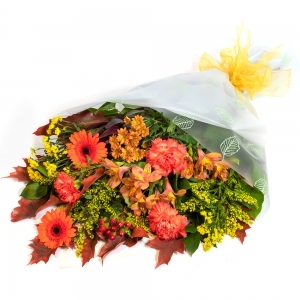 Flowers seemed pretty, fast delivery. 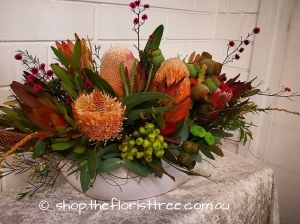 The Florist Tree is the best Florist in Perth in my opinion. 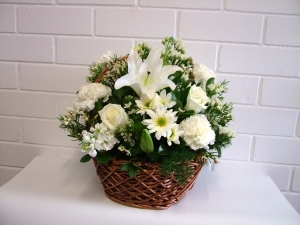 The arrangements they do are of the highest standard. 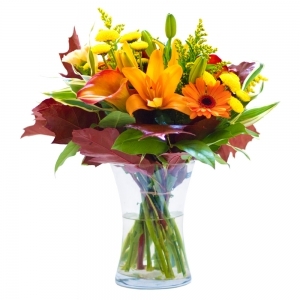 They are a pleasure to do business with, the delivery is very efficient and the delivery person is lovely. The best bunch I have ever seen. The most friendly and efficient service I have ever encountered and the best looking delivery person I have ever seen. Definitely recommended. 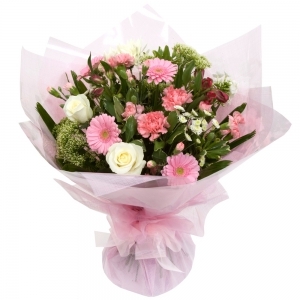 The flowers were beautiful and well presented with a good mix of colours and delivered exactly as instructed. The recipient was very pleased. 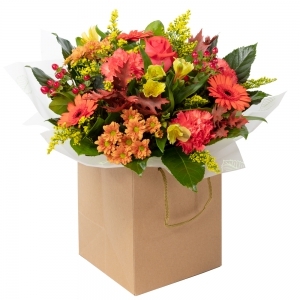 Delivered on time and were the flowers I ordered. Excellent. A service that I couldn't do without. Don't feel quite so cut off from my family in Australia. Thank you. Thank you. 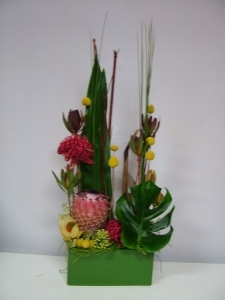 Arrangement looked beautiful and recipient very pleased. Thats all that matters! Lovely flowers delivered for birthday so gold star for me! 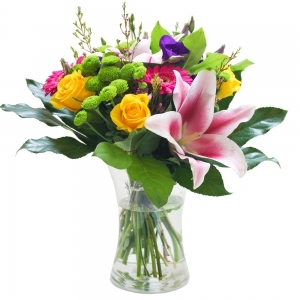 The recipient of the flowers thought they were beautiful & was impressed with the quality. I've seen the pictures & was impressed aswel. 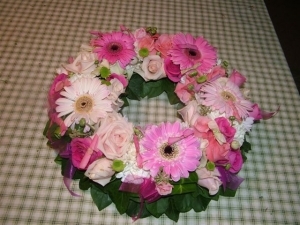 The flowers were for my daughter who was in hospital. She rang me in England to say how stunning they were and how pleased she was. Thank you very much. 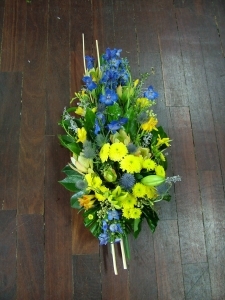 The arrangement was lovely and my mother was very happy. I was also pleased they were able to be delivered on a Sunday. Will use this service again. feels like they are next door! Good prompt delivery and of high standard. Flowers were well presented. Thanks. 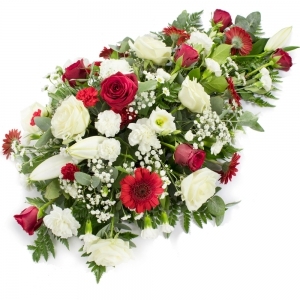 The service was first class, with delivery on time, and the flowers were absolutely beautiful and my friend was delighted with them. I would highly recommend this service. Thank you. Same day delivery as my order really impressed me. 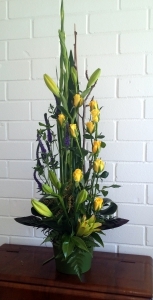 It's hard when you live interstate from family having to rely on others to provide the perfect bunch of flowers. 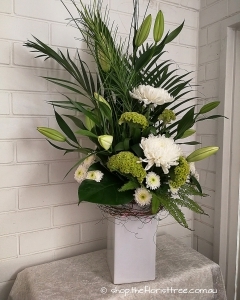 I didn't get too see the actual delivery but my mum loved them, and I loved the peace of mind that they were delivered by receiving the delivery confirmation email. Awesome! Wonderful, easy to use service. 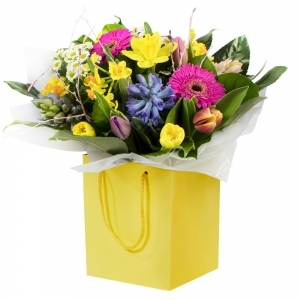 The flowers were beautifully wrapped and presented and delivered on time. I would definitely use you again! 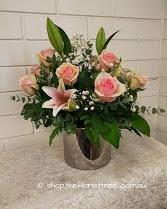 I found that Direct2florist was a excellent service and can not fault. Next time I need to send flower I shall use this company. I was told that the flowers were beautiful, thanks very much. Cheryl was so kind & thoughtful to help me. The potted plant was a birthday present and the birthday girl said that it was the BEST. 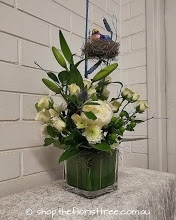 I did't see the flowers, but they were delivered as promised, the message was correct and the lady I spoke to on the phone was pleasant ans courteous. lovely and very promt thankyou ..
brilliant service and products.... I am extremely happy with everything. 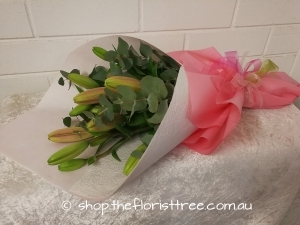 Asiatic lilies in a wrap at a budget price point. Available in white, pink, yellow and orange. 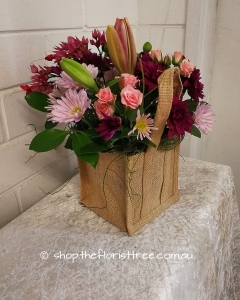 Jute bag of mixed blooms. Medium size depicted. Check delivery areas before ordering. Australian native wildflowers. Medium size depicted. Check delivery areas before ordering. 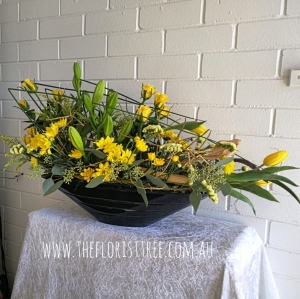 WA wildflowers in a ceramic boat. . Check delivery areas before ordering. 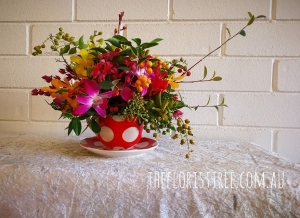 Fllrist Choice Floral Tea Cup including Courier fee $12. Check delivery areas before ordering. Standard size depicted. 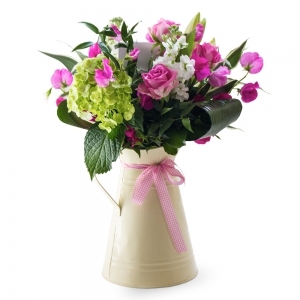 Specify white, pastel or bright. Check delivery areas before ordering. 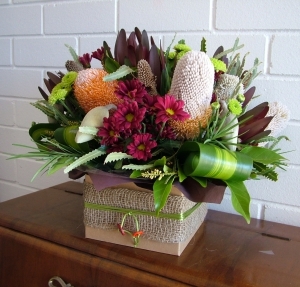 Box of Australian wildflowers - Medium size depicted. Check delivery areas before ordering. Ceramic trough of native flowers. Check delivery areas before ordering. 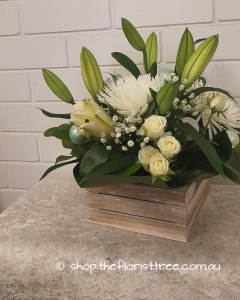 Whitewashed wooden crate in 3 sizes. Small size depicted. Check delivery areas before ordering. The best market fresh flowers available on the day. Check delivery areas before ordering. Product may vary due to seasonal availability. Check delivery areas before placing order. 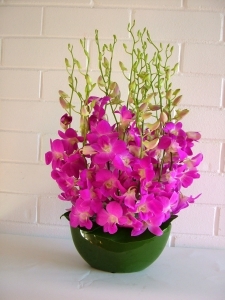 Contemporary Singapore orchids Check delivery areas before ordering. 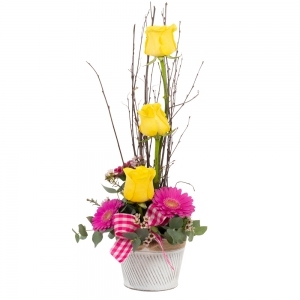 Available in 3 sizes with a useful life after flowers. Check delivery areas before ordering. 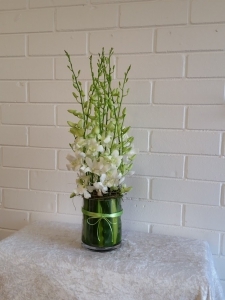 White Budget flowers for any occasion. Check delivery areas before ordering. 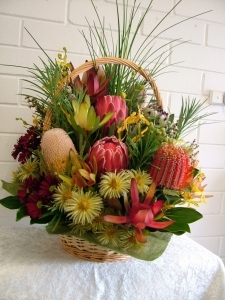 A seasonal selection of a WA wildflowers/ Check delivery areas before ordering. 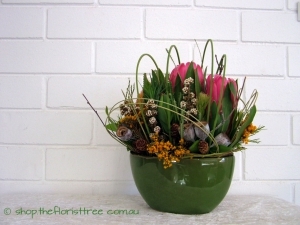 Australian wildflowers in a ceramic trough. Check delivery areas before ordering. 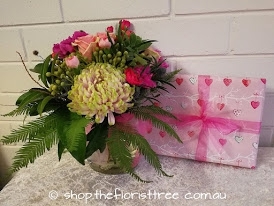 A petite box with the best value flowers on the day. Check delivery areas before ordering. 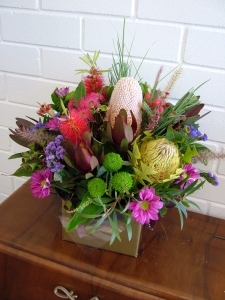 WA wildflower bouquet. Medium size. Check delivery areas before placing order. 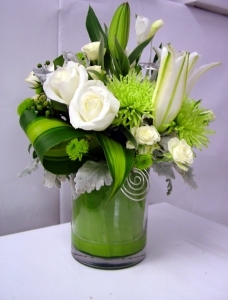 Elegant classic contemporary in whites and green. Check delivery areas before placing order. .
Large presentation design for event or corporate display. Check delivery areas before ordering. Boat arrangement LARGE size depicted. Check delivery areas before placing order. Large size depicted. Specify colour choice. Check delivery areas before irdering. 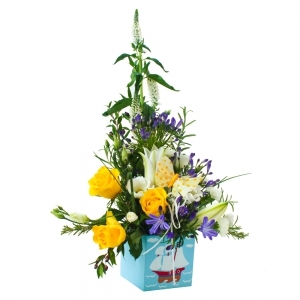 Flowers in a large boat. Advise your preferred colour. Check delivery areas before ordering. 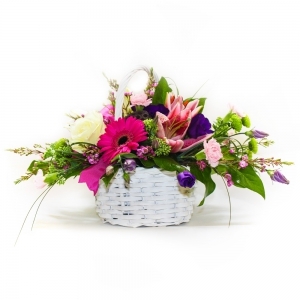 Suitable for sympathy, corporate or general gift giving. Check delivery areas before ordering. Elegant glass leaf lined vase. Check delivery areas before ordering. 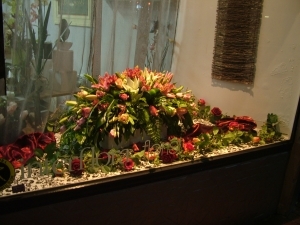 Contemporary ceramic with roses and lilies. Check delivery areas before ordering. 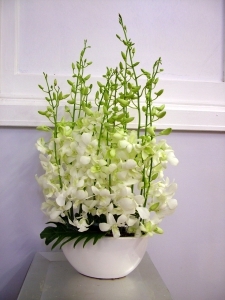 Standard size white orientals in ceramic container. Check delivery areas before ordering. 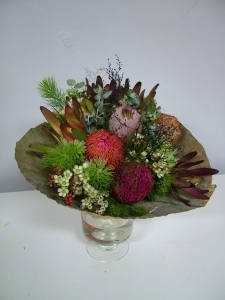 Mixed flower platter. Standard size depicted. Check delivery areas before ordering. Perfumed Oriental Lilies in ceramic. Medium size depicted. Check delivery areas before ordering. 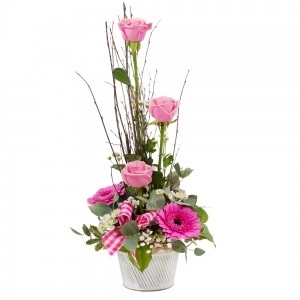 Florist's Choice of pretty pink flowers in a ceramic container. Check delivery areas before ordering. 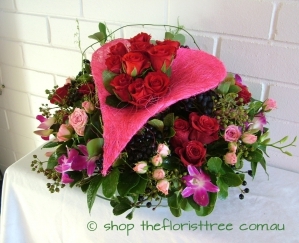 Mixed roses in a sisal heart shape Medium size depicted. Check delivery areas before ordering. Timeless & classic in a ceramic. Medium size depicted. Check delivery areas before ordering. Large size depicted. You choose the size, Check delivery areas before ordering. 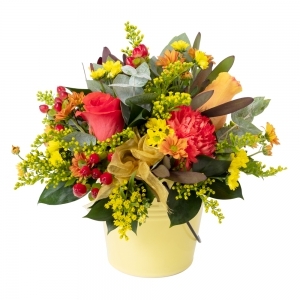 Bright large box of mixed blooms. Check delivery areas before the ordering. 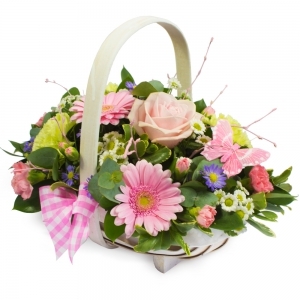 A sweet little posy to say I'm thinking of you. Check delivery areas before ordering. 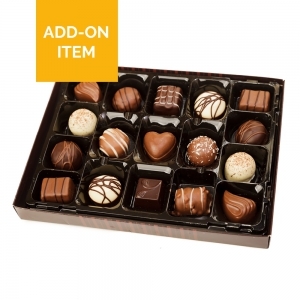 F. Choice in a posy jar including quality chocolates. Check delivery areas before ordering. 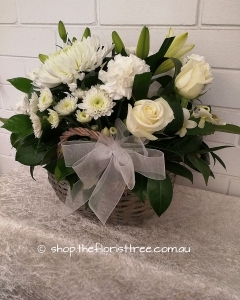 Classic white basket for home, funeral or crematorium. Check delivery areas before ordering. 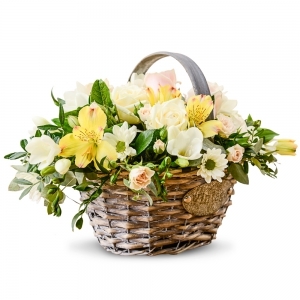 Bright blooms in a basket. Standard size depicted. Check delivery areas before ordering. A rush basket of pastel petals. Check delivery areas before ordering. 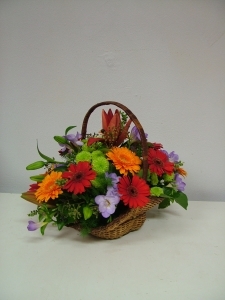 Bright seasonal flowers available in 3 sizes. Check delivery areas before ordering. 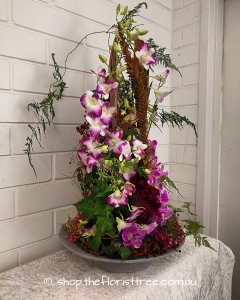 Singapore orchids in a vase. Check delivery areas before ordering. Medium size depicted. Orchids in a glass cube. Medium size depicted. Check delivery areas before ordering. Orchids in a ceramic boat. Med size depicted. Check delivery areas before ordering. 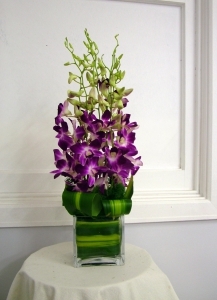 Singapore orchids - Medium size depicted. Check delivery areas before ordering. 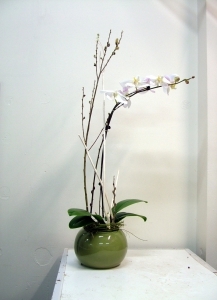 Potted phalenoepsis orchid. Check delivery areas before ordering. Singapore orchids in a boat. Check delivery areas before ordering. Includes $12 delivery fee. Lg size depicted. Price includes $12 courier fee. Check delivery areas before ordering. Medium size mixed bouquet Vase not included. Check delivery areas before ordering. White or pink. Medium size depicted. Vase not included. Check delivery areas before ordering. 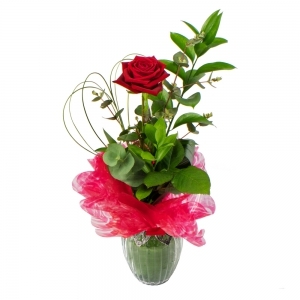 5 gorgeous roses with wired heart and disbud. Check delivery areas before ordering. 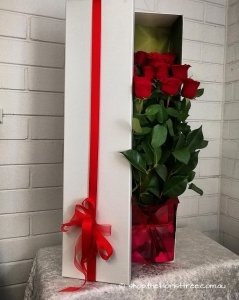 12 red roses in a presentation box with ribbon. Check delivery areas before ordering. 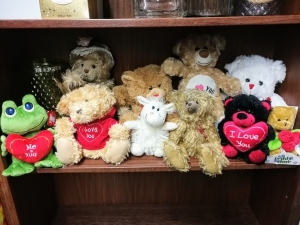 12 red roses with a cute teddy and sisal heart. Vase not included. Check delivery areas before ordering. 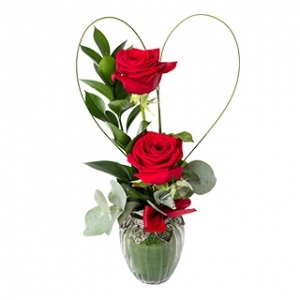 12 red roses in a ceramic container Check delivery areas before ordering. 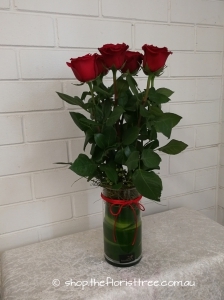 12 red roses in a low, leaf lined glass vase. Standard size depicted. Check delivery areas before ordering. Boxed Chocolates and rose presentation. Check delivery areas before ordering. 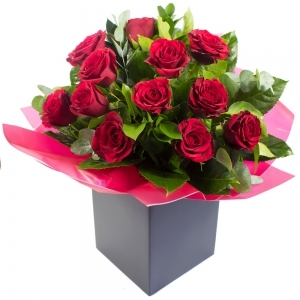 12 red roses in a vase Check delivery areas before ordering. 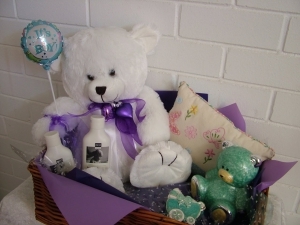 Large box arrangement with Teddy and stick Balloon. Check delivery areas before ordering. Cute ABC ceramic with teddy. (may vary) Specify girl or boy. Check delivery areas before ordering. 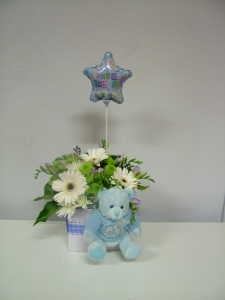 Flowers with air balloon & Bear in pink, blue or white. Check delivery areas before ordering. 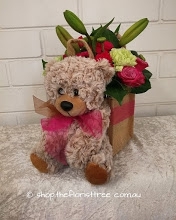 A cuteTeddy with mixed blooms in a Jute bag. Check delivery areas before ordering. 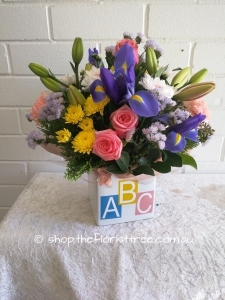 ABC ceramic cube of pink, blue & yellow flowers - can request specific. Price includes $12 del. 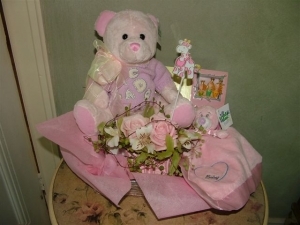 Florist"s Choice Basket of baby goods. Check delivery areas before ordering. Specify colour. 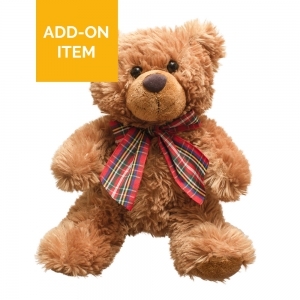 Suitable for new baby Boy or Girl. Check delivery areas before ordering. Baby flowers in white with a touch of Blue. Check delivery areas before ordering. A selection of baby products. Specify boy or girl. Check delivery areas before ordering. 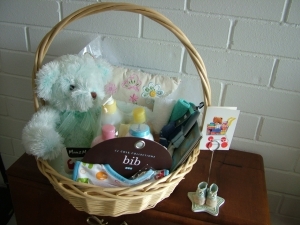 A selection of welcome to baby products. Check delivery areas before ordering. 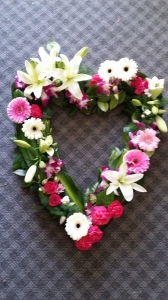 Open floral heart. Check delivery areas before ordering. 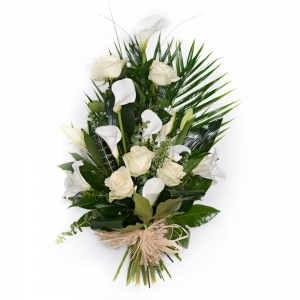 Sympathy spray in white. Check delivery areas before ordering. 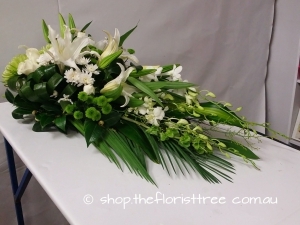 Large size white and green sheaf of seasonal flowers. Check delivery areas before orrdering. Single ended spray. Check delivery areas before ordering. 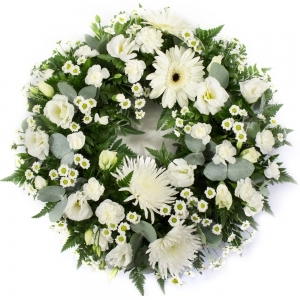 Large size depicted white and green wreath. Check delivery areas before ordering. 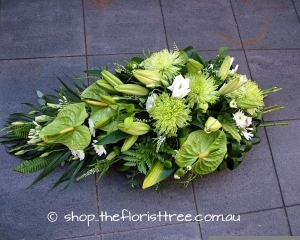 Lush casket arrangement (Large pictured) Check delivery areas before ordering. .
Standard size depicted. Checvk delivery areas before ordering. 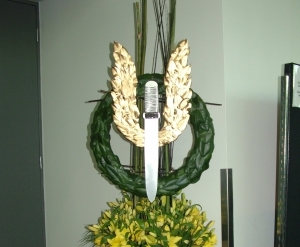 Large size pinned leaf wreath with the SAS Winged Dagger. Check delivery areas before ordering. 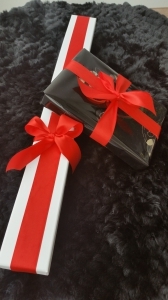 Funeral bat for crematorium or graveside, Check delivery areas before ordering. 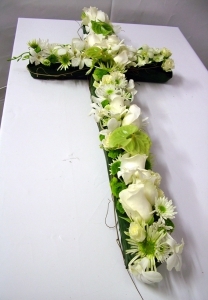 Green and white funeral cross. Large size depicted. Check delivery areas before ordering. You specify the colour. Check delivery areas before ordering. 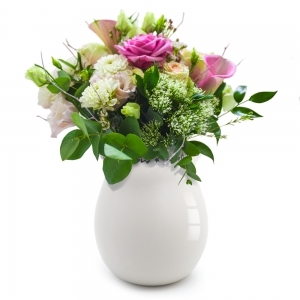 30cm standard size depicted Check delivery areas before ordering. . 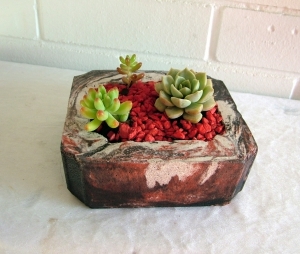 Cute Mini Garden with succulents - Check delivery areas before ordering.